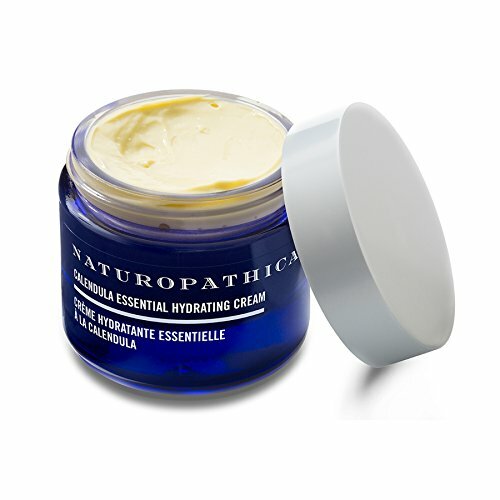 When to use the Naturopathica Calendula Essential Hydrating Cream? What are the main ingredients within the formula? What are the directions for use? What’s to like and what’s to dislike about the cream? The cosmetic industry is impressive and having to choose from all of the options is such a shame as there are so many options that ware worth to try. It’s not all the time that we have the time, the patience nor the money to try some of them so getting all the info you need is more helpful than you think. Developing a healthy skin care routine is fundamental when you’re aiming for the healthier and younger looking skin. 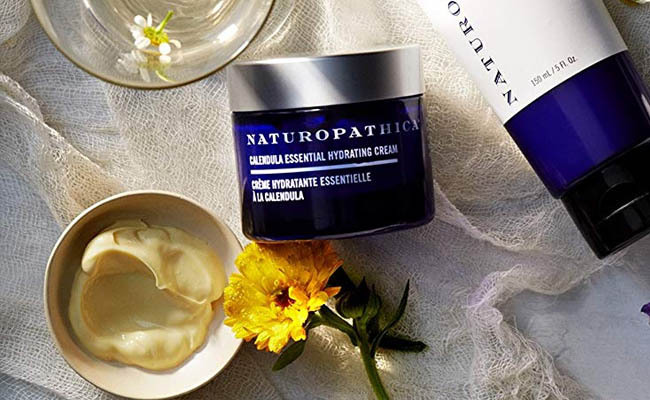 The Naturopathica Calendula Essential Hydrating Cream is able to nourish and deeply moisturize your skin. It’s a great choice for the dry and sensitive skin as it’s able to calm it down. It also reduces inflammation in skin and brings comfort to red or irritated skin. The hydrating cream works as it’s made with several ingredients that are well-known for their benefits for skin. Aloe Vera leaf juice-brings comfort in various skin conditions like eczema and psoriasis. It also alleviates symptoms of sunburns and moisturizes the skin. It keeps acne at bay and is a great ingredient to use against aging of skin. It diminishes the appearance of stretch marks and soothe the skin. Sunflower seed oil-is a great moisturizer for the skin due to its high concentration of vitamin E. it protects the skin against the damage of the sun’s bad UVs. It diminishes dryness and itchiness in skin and boosts the healing of damaged skin. Aspen bark extract-is a natural option that works like the artificial parabens. It helps the cosmetic products last longer. It reduces the risk for irritation and it’s a safe choice for the sensitive skin. It smooths and softens the skin, bringing relief. Rose flower water-removes impurities from skin without stripping it out from the natural oils. It brings benefits to all skin types and it’s gentle on the sensitive skin too. It reduces the pores and makes your skin firmer. It also smooths out puffiness and wrinkles, evening your skin tone along the side. Calendula flower extract-has anti-inflammatory abilities and it’s also antiseptic. It heals sunburns and reduces rashes. It alleviates symptoms in contact dermatitis and increases suppleness in skin. It’s a soothing ingredient for the dry skin. Borage seed extract-prevents the signs of aging skin and reduces dryness of skin. It also diminishes the appearance of stretch marks and sooths the skin in eczema or psoriasis. Nettle leaf extract-treats acne and tones the skin. It minimizes the visibility of blemishes and scars and it’s a reliable astringent for skin. It brings comfort in eczema and reduces inflammation. It helps the healing in skin burns. Lavender flower oil-reduces the risk for discoloration and scars, keeping acne under control. It has anti-inflammatory abilities and keeps the oil production under control. It heals burns and comforts the irritated skin. It also reduces the risk for breakouts, without drying the skin. Neroli flower oil-controls the oil production in skin and makes the pores look smaller. It refreshes the skin. Rosemary leaf extract- reduces pain and controls acne. It lowers inflammation and keeps the sun damage away from skin. It increases the tightness of skin and the circulation. The hydrating cream is also animal friendly and gluten free. You should only apply the cream on your cleansed and dry skin. A pea size amount to use over your face and neck is enough so the cream is going to serve you well for a good amount of time. Use gently movements when applying the cream. Even though its consistency is rather on the thick side, the cream doesn’t sit on skin and it’s fairly easy to absorb in skin. It doesn’t clog pores nor dries the skin. By contrary, the cream leaves a silky feel on your skin and a pretty natural smell. Made with so many efficient and natural ingredients, the hydrating cream isn’t at all your cheap option as it’s not intended to be that. What is though is far more important and the cream definitely hydrates deeply your skin, in a natural and pleasantly scented way. Recent reviews on Sugar & Fluff Beauty: the Tata Harper Rejuvenating Serum, the Tata Harper Regenerating Cleanser, the Tula Probiotic Skin Care Illuminating Face Serum, the Tula Probiotic Skin Care Purifying Face Cleanser, the Naturopathica Argan & Retinol Wrinkle Repair Night Cream Review.